A real allrounder that provides you with a variety of application possibilities - all in one unit! Working under pressure? That's what the TTV 4500 high pressure fans do! 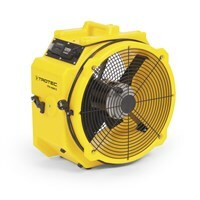 The new standard for space fans for construction and renovation: the TTV 4500 S Axial Fan. More than just a cool breeze - the powerful and flexible TTV 7000 axial fan. 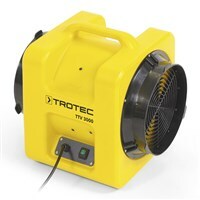 An axial fan from Trotec: Whether this is right for me? You are looking for a flexible but powerful fan? 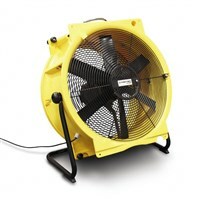 You are looking for an axial fan with wide range of accessories, such as dust bag? You need an axial fan for use in construction sites, in tunnels, in fire damaged buildings, in stable or for cooling cold-air promotion figures( Skydancer)? You will appreciate professional service, fast logistics and reliable suppy of spare parts? 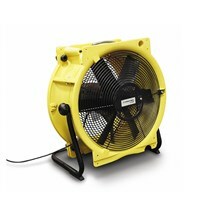 You just want to buy your axial fan directly from the manufacturer? 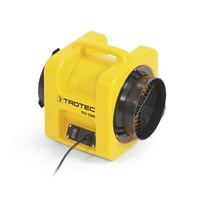 ... then a Trotec axial fan is the right choice for you! 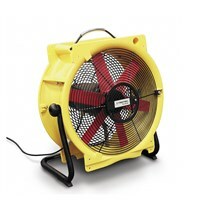 Because you can get in our webshop a wide range of powerful fans.